Care delves deep into the world of home elder care through the eyes of both paid caregivers and their elderly clients. 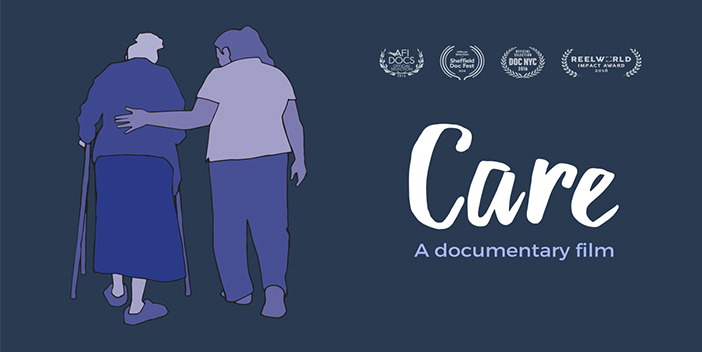 The film reveals that despite long days taking care of others, care workers often struggle to feed their own families. Through personal stories, Care reveals the deep humanity and poignancy of care work, as well as the challenges faced by elders, their families and their care workers. It also reveals the beginning of a movement to improve how we care—both for the growing number of older adults and for those who make their lives livable. Providing quality care for an aging population will require reimagining how we value and compensate care workers and how we support families who need their services. Presented in collaboration with CUPE Ontario.